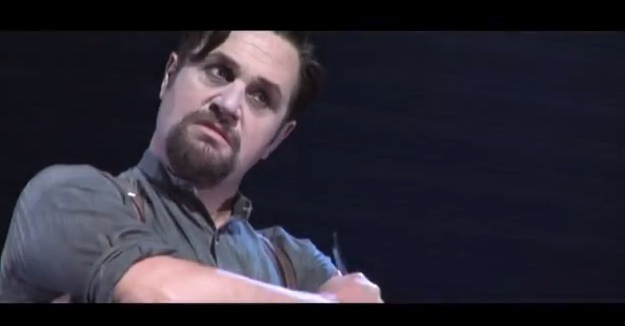 Musical Theatre News: Sweeney Todd now approved by Sondheim for West End opening? Sweeney Todd now approved by Sondheim for West End opening? Stephen Sondheim finally shook off his back problem and got to Chichester a couple of days ago to see Sweeney Todd starring an unrecognisable Michael Ball and Imelda Staunton. He was accompanied by Sir Cameron Mackintosh and according to certain senior cast members he loved the production. So if he has given his approval presumably the much-mooted West End transfer will take place. The current strong rumour is that it will open at the Adelphi Theatre after the National Theatre production of One Man Two Guvnors starring James Corden (which opens on 8th November) ends its limited run on 25th February 2012. If ever a musical theatre production deserved a West End opening it's Sweeney. I have seen this production a number of times and have to say this is my favourite version by a mile. It certainly redeems the musical's reputation after the disappointing Tim Burton/Johnny Depp/Helena Bonham Carter film version.